Home to the world’s second-largest population, the country fared poorly on the Global Hunger Index (GHI, pdf) for 2017 released by the Washington-based International Food Policy Research Institute (IFPRI) on Thursday (Oct. 12). India ranked 100 out of 119 countries on the GHI, worse than last year’s position of 97 out of 118. A lower ranking is indicative of a higher rate of malnutrition and hunger. Even though India’s 2017 GHI score—31.4—has improved over the years (it was 46.2 in 1992), its hunger problem remains categorised as “serious.” The rankings are based on four indicators: undernourishment, child mortality, child wasting, and child stunting. A GHI score of between 20 and 34.9 points reflects serious hunger levels; between 35 and 49.9, it is alarming, and extremely alarming if over 50. In 2017, only two other Asian countries were more hungry than India: Pakistan and Afghanistan. The report highlights the “disturbing reality of the country’s stubbornly high proportions of malnourished children.” This pulled down the overall rankings of the south Asian region, making it the worst performer on the GHI, closely followed by Africa south of the Sahara. In fact, African countries such as Botswana (81) and Burkina Faso (92) fared much better than India, as did some middle-eastern nations like Iraq (78). Even though India has a host of schemes to fight hunger, “drought and structural deficiencies have left a large number of poor in India at risk of malnourishment in 2017,” PK Joshi, director of IFPRI South Asia, said in a statement. How India fared against some Asian countries. This despite the rapid economic progress made by Asia’s third-largest economy, which is also the world’s second-largest food producer. High poverty rates and unequal distribution of wealth have left millions of households without access to nutritious food. While India has remarkably reduced its child stunting rate—down 29% since 2000—the child wasting rates (children under five who have low weight for their height) remain high. In 2015-16, some 21% of Indian children suffered from wasting, up from 20% a decade ago. Meanwhile, though 14.5% of its population remains undernourished, the figure is down from 21.7% in 1992. Under-five mortality rate, too, has now dropped to 4.8% in 2017 from 11.9% in 1992. And India is also moving towards eliminating malnourishment, said Joshi of IFPRI. “The on-going efforts are expected to make significant changes in improving the existing situation. 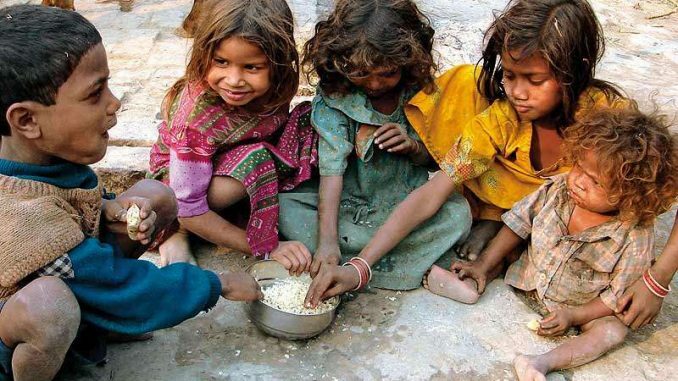 It is welcoming that India has developed and launched an action plan on ‘undernourishment free India’ by 2022,” he said.